The pyrotechnic show of the end of the year in Madeira will have a new record of pieces fired on the night of party, which will amount to 174,632, said to Lusa Carlos Macedo, responsible for the company in charge. “For this year’s show, more than 174,000 pieces will be fired, in a new record here in Madeira,” he said. This year, fireworks – a major tourist attraction in the region – add up to 26 tons, nine of which are explosives, and there is a team of 350 people involved in the entire operation, carried out by Macedo’s Pirotecnia, which won the competition for the performance of the show. “This year the theme is the 600th anniversary of the discovery of the archipelago and as such we will have some surprises, besides the traditional Portuguese effects, in a spectacle that lasts for eight minutes and that will have allusions to some of the characteristics of the island”, with predominance of colors allusive to the Autonomous Region of Madeira, he said. The Regional Government invested 3.7 million euros in the Christmas and New Year celebrations, an increase of 10% over last year. Only the fire costs the regional coffers 1.3 million euros. The increase is reflected in an increase in the number of fire stations: there are two new stations at sea and one on the island of Porto Santo. In total, there are 38 stations (31 in the amphitheater of the city, five in the sea and two in Porto Santo). “At this moment we already have the pre-assembly phase completed and from December 26 we begin the preparation of the cargo and transportation for the various stations, and the final assembly will be made on December 29, 30 and 31,” he explained. 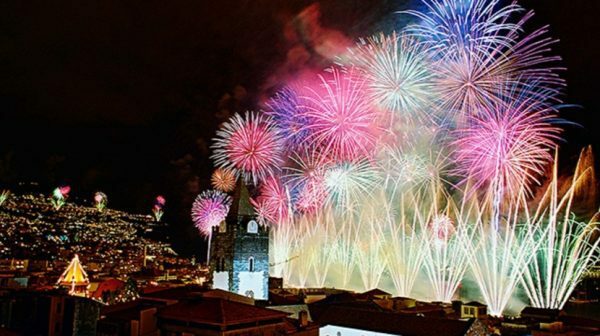 At the Passage of the Year from 2006 to 2007, Madeira was recognized by the World Guinness of Records with the world’s largest firework display, at the time also by the hand of Macedo’s Pirotecnia.